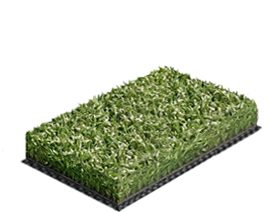 Turf Nation is a reliable source of high quality synthetic turf systems. 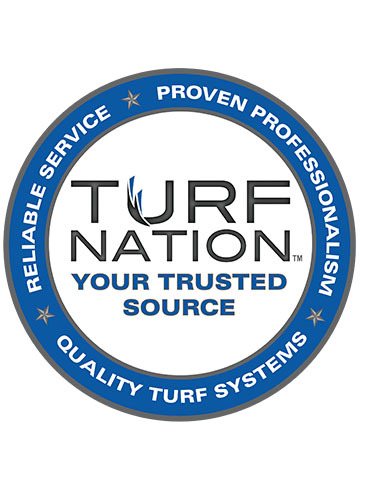 Turf Nation features multiple high speed precision tufting lines, a full-service logo department, and in-stock installation supplies. Turf Nation is proud to be an American manufacturer utilizing 100% American made components. Turf Nation customers are premier synthetic sports turf installation companies. Turf Nation’s state-of-the-art computerized water jet cutting table, integrated design studio and experienced assembly ensures the highest quality and precision. Turf Nation’s personal service and solution-based approach to our customer’s needs, ensures logistical efficiency and reliable performance. Any manufacturer can elect to build lower quality / cheaper surfaces. Turf Nation is disciplined enough to ignore the gravitational pull associated with producing lower grade surfaces that are often associated with lesser performance, diminished player safety and premature field failure. Turf Nation manufactures synthetic turf systems for use in a variety of sporting events, including football, lacrosse, baseball, soccer, field hockey and rugby. Users that play and/or practice on turf manufactured by Turf Nation range from professional franchises (13 NFL Teams), collegiate programs, major arena leagues to local high schools and municipalities. 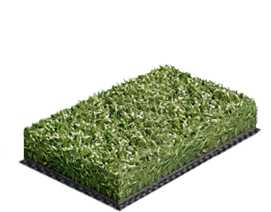 Turf Nation offers over 40 pre-engineered synthetic turf systems that are purposefully designed for sports specific applications, featuring the highest-grade fibers incorporated at various pile weights and pile heights. Turf Nation is a known and credible source of white labelled products for various competitors within the industry. Contact a Turf Nation representative to discuss which synthetic turf system is the best choice for your sports specific needs. The M6 surface is engineered to be the ultimate monofilament surface, robust and durable. M6 surfaces are purposefully designed to enhance player performance and maximize player safety. The TN-42-S is engineered to be the perfect balance of firm and fast. Available in various fiber profiles, TN-42-S products are designed to enhance player safety. Turf Nation TN-42-S grants your athletes the self-confidence they need to perform to their maximum potential. Consistent and proven Baseball performance. The FC ELITE surface is engineered specifically to be the ultimate Soccer surface, robust, durable, realistic ball interaction, featuring optimal slide coefficient. FC ELITE was purposefully designed to optimize Soccer specific performance and maximize player safety. The SN69 surface is a high performance dual fiber surface, combining slit-film and nylon, to ensure durability. A perfect selection for dynamic, high performance areas that endure intense traffic patterns. Non-infilled applications are available. The N48 features a compressed system of dense nylon fibers, making it an optimal choice for field hockey and convertible arena sports programs. The N48 products maximize durability while featuring outstanding versatility for convertible needs, providing the perfect adaptable solution with consistent texture. Beveled seams available. The N38 features a compressed system of dense nylon fiber, making it an affordable choice for field hockey and convertible arena sports programs. The N38 surface is an affordable solution with consistent texture. 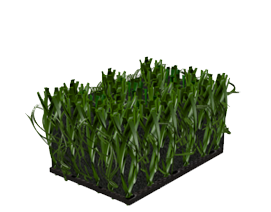 Turf Nation offers over 40 pre-engineered synthetic turf systems that are purposefully designed for sports specific applications, featuring the highest-grade fibers incorporated at various pile weights and pile heights. The robust product line of environmentally friendly landscape solutions will ensure the right application for your specific needs. Synthetic turf can be installed anywhere it’s difficult to grow or maintain natural grass. 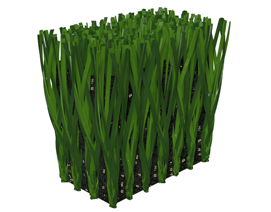 The 40Q Instant Lawn is part of the True Lawns collection of landscape turf. 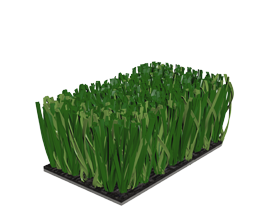 The 60Q Instant Lawn is part of the True Lawns collection of landscape turf. 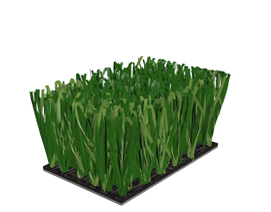 The 80Q Instant Lawn is part of the True Lawns collection of landscape turf. 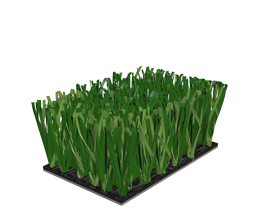 The 90Q Instant Lawn is part of the True Lawns collection of landscape turf. TN80 is part of the Lifestyle Landscape collection of landscape turf. 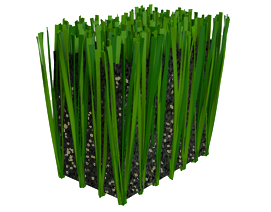 The TN80 surface features a robust fiber weight and 1 inch pile height. The aesthetic appeal of well-manicured natural grass coupled with the durability that only synthetic turf systems can provide. Non-infilled applications are available. 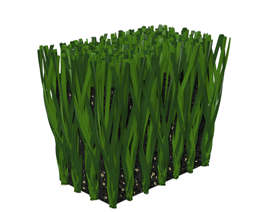 TN-Putting Green is part of the Lifestyle Landscape collection of landscape turf. 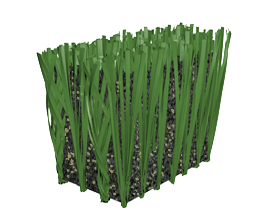 The TN-Putting Green is surface features multi-color green color at½ inch pile height. The aesthetic appeal of well-manicured golf green without the need for infill. Non-infilled putting application. 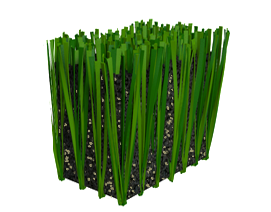 P36 is part of the Lifestyle Landscape collection of landscape turf. 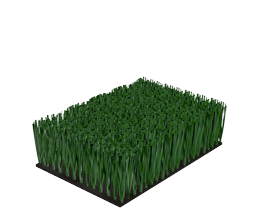 The P36 is surface is an infilled putting/grass surface that features a 1 inch pile height. 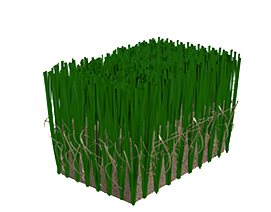 The aesthetic appeal of well-manicured green/grass area utilizing infill. Infilled putting application. Affordable ground cover for large, low-traffic areas. Ground Wrap is designed to provide a beautiful, maintenance-free surface for non-pedestrian areas.